If you started blogging you would never stop!!! Plus, your vocabulary is so advanced people like me wouldn't get it! 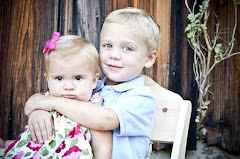 Davis & Reese are adorable. Welcome to the blog world!